It’s Thursday. Christmas is only three weeks away which means 2015 is only four weeks away. Can you believe it? It’s almost time to say goodbye to 2014 and hello to 2015. This year has totally flown by and I cannot believe it’s almost 2015. We’ll be spending Christmas in Lakeland and I’ll be ringing in the new year with a much needed mini vacation. I’m taking the day after New Year’s off so I’ll have a four day weekend. Ken will have the same days off, too. I’m hoping for a mini vacation out of town but if we just decide to stay home, I’m ok with that, too! 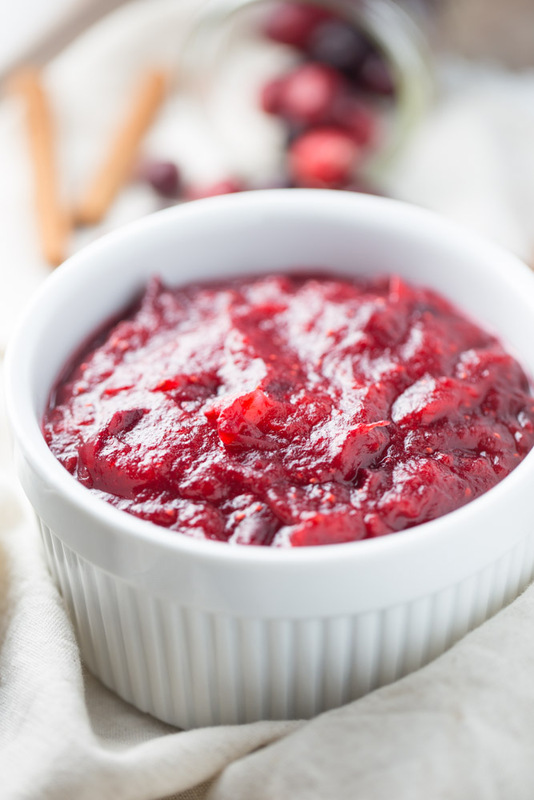 Cranberry Orange Apple Sauce is perfect paired with any holiday meal. 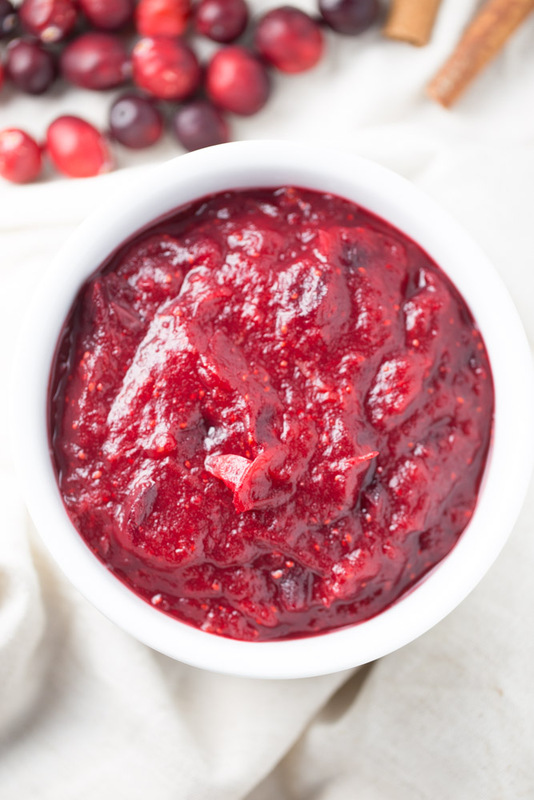 Fresh cranberries and orange really make this sauce burst with flavor. Zest from one medium sized orange. I used a navel orange. Juice from one medium sized orange. Just use the one you zested. Place all ingredients in a medium sized saucepan. Heat over medium heat and simmer until the cranberries begin to pop, about 15 minutes, stirring occasionally. When the cranberries start to pop and soften, gently mash with a wooden spoon. Serve in a decorative bowl, if serving with your holiday meal. Store in an airtight container for up to one week in a refrigerator. Great flavor combination, I think of many uses for this. Mmm, my favorite part of any holiday meal! I’ve never made my own – I really need to try it! It’s SO easy to make, Amanda! You should definitely give it a try sometime. Thanks for the invite, Carol! This sounds wonderful and it’s so pretty!!! This is sooo inventive. I love the flavor combo here. Pinned. My family still loves the canned sauce but I make the homemade stuff for the rest of the gang. This looks beautiful and I love the apple and orange addition! 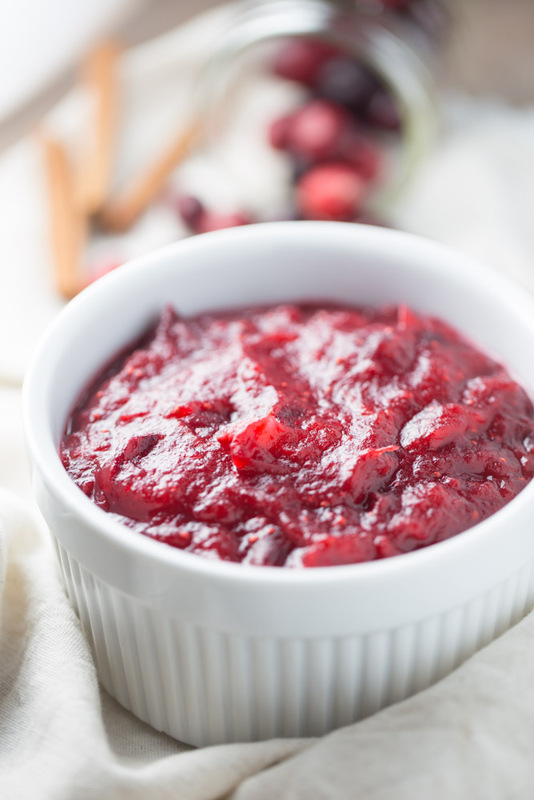 I always make a super-basic cranberry sauce with cranberries, sugar and red wine. You’ve just inspired me to be a little bit more creative this year and try your recipe instead! Oh I love the idea of using the red wine! I bet it’s good like that. Now I’m going to have to try that, too. :) Hope you enjoy my recipe, Nicola!